Remember when Boyz II Men paired AJ 11s with formalwear for a performance? Well, gone are the days when such fashion moves drew gasps from the public. For the modern men, sneakers and suits go hand-in-hand, especially in the summertime when a lot of the two-piece ensembles are constructed of lighter materials and feature more casual, relaxed cuts. 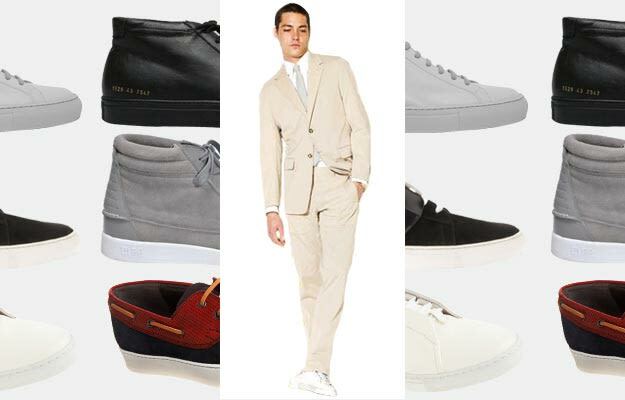 Check out Complex&apos;s picks for some of the best non-hard bottom kicks to complement your favorite summer suit. Take notes, it&apos;s a science.